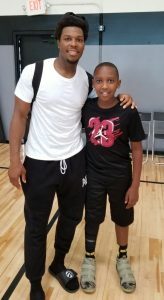 If you are looking for a summer basketball training experience like nothing else in the world for your son and daughter, you are in the right place. 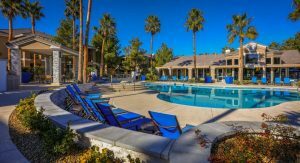 Enjoy this introductory video and reach out to book your week, or weeks, today. IMPACT will get you Ready for the Next Level. For over a decade, basketball players like you have been coming to Impact Basketball for an amazing Summer Training Camp experience. Every year, we host hundreds of high school athletes, including McDonald’s All- Americans, U.S.A. developmental players, and numerous all-state selections who train at our two locations. 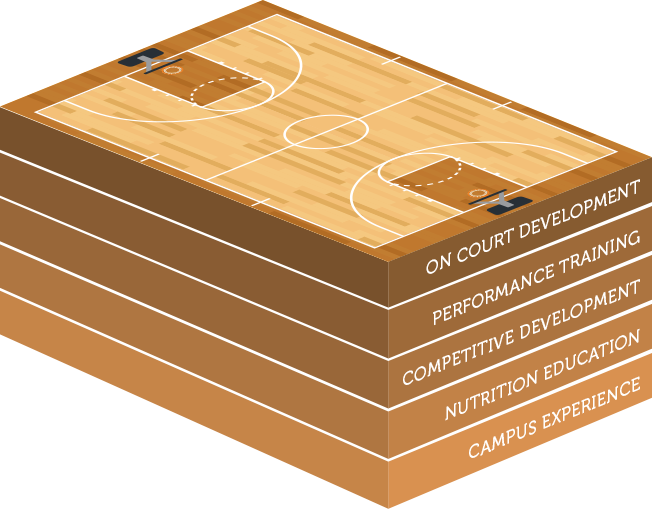 You can expect an intense combination of on-court skill development, movement specific performance training, video analysis, as well as nutrition counseling throughout training camp. Our training focuses on improving player weaknesses, honing strengths, and conditioning athletes to perform at their peak throughout their season. Our coaching staff’s primary goal is to fully prepare each athlete for their upcoming season, as well as build the foundation for a successful collegiate player. 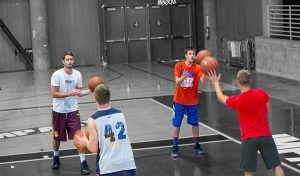 Our highly structured training schedule bolsters over 7 hours of player development each day, averaging 35 hours per week; enabling athlete’s the ability to maximize their focus and their results. With 45 players maximum per week at camp, we focus on small group training to enhance the training experience. Our intense training environment creates an intimate, learning conducive setting for you, where skill progression and athlete comprehension is maximized. All of our coaches on staff have collegiate level development experience or higher. This wealth of experience and knowledge offers you a unique and comprehensive perspective. Impact staff will focus attention towards footwork recognition, advanced ball control, game simulated conditioning, shot correction, as well as shot development throughout camp. "I've sent my kids to many camps, but Impact was something special. From the moment we walked in we knew we were there to train and get better. They had a great time too, but their improvement was amazing." 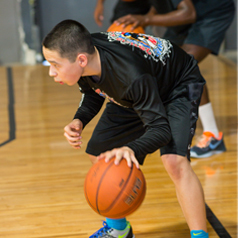 "I spent 4 weeks at Impact last summer and it changed my entire approach to the game. I can't wait to get back there." "I have been to basketball camps my whole life and nothing was even close to Impact. Being with the NBA players and training that hard was an experience I will never forget." "The best thing about Impact was that even though I was only here for 2 weeks, I was able to take everything I learned and keep up my training." "As soon as my boys are old enough, I will have them at Impact camp the whole summer. It is the ideal training situation for young players. And I loved helping the campers." "The attention to detail at Impact was far beyond my wildest expectations. My son was coached and pushed in a way that makes Impact a must for us every summer." 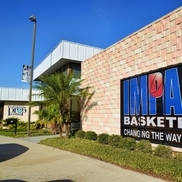 "My son saw an entirely new side to basketball at Impact. 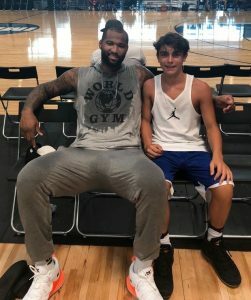 He was thrilled when he got to see NBA players going through a similar workout. Getting to see how hard the pros were working shaped my son's outlook for this upcoming season. Thank you Impact!" "I was worried my inexperienced son would be overwhelmed., but the staff at Impact was amazing, thank you. They know just how to coach players of every skill level and experience. The coaches made sure he was engaged and learning at all times. He loves the game more than ever now!" After several request to provide an even more "Train like a Pro" experience, IMPACT is now providing a small group, custom training experience that replicates exactly how NBA All-Stars are trained.